I purchased ooma to switch from my current VOIP provider, Callvantage. I activated Ooma hub online and then tried to install it. The setup is Cable modem->Ooma Hub -> Dlink router. During activation I chose to use existing phone number while its being ported. The phone cable is plugged into "WALL" on the ooma hub. I see that the ooma tab red light is blinking with buttons "1", "2", ">" and ">>|" solid red. I've tried resetting the hub, cable modem couple of times, but it doesn't help. The internet connection is working fine via router. I tried calling support # 888-711-6662 multiple times, but keep getting "all circuits are busy, try again later" message. Could someone please let me know how do I resolve this and get "blue" light? JustInLanger wrote: I purchased ooma to switch from my current VOIP provider, Callvantage. I activated Ooma hub online and then tried to install it. The setup is Cable modem->Ooma Hub -> Dlink router. During activation I chose to use existing phone number while its being ported. The phone cable is plugged into "WALL" on the ooma hub. I see that the ooma tab red light is blinking with buttons "1", "2", ">" and ">>|" solid red. I've tried resetting the hub, cable modem couple of times, but it doesn't help. The internet connection is working fine via router. 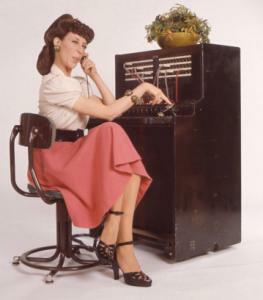 I tried calling support # 888-711-6662 multiple times, but keep getting "all circuits are busy, try again later" message. Could someone please let me know how do I resolve this and get "blue" light? If the Play and Fast-Forward button are lit, that means you configured ooma to work With a landline, and the ooma will not function without the landline plugged into the wall jack of the ooma. You need to call ooma Customer Service to have your ooma switched to work without a landline.